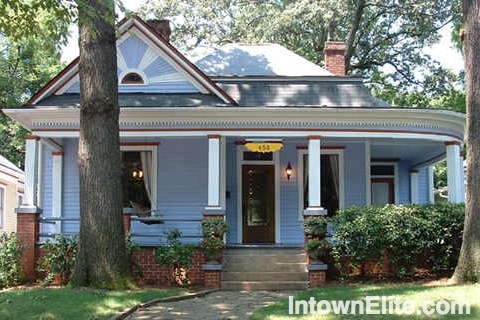 Grant Park is the Intown Atlanta neighborhood surrounding the park of the same name, and is Atlanta's largest historic neighborhood. The park was established in 1882 when Lemuel P. Grant, a successful engineer and businessman, gave the city of Atlanta 100 acres in the newly-developed "suburb" where he lived. Grant Park also includes Oakland Cemetery, where Margaret Mitchell, Bobby Jones, 25 former mayors of Atlanta, six former governors of Georgia, and many Civil War dead are buried. Listed on the national register of historic places, Grant Park is well-known for its beautifully restored Victorian-style homes.